On January 21, Barack Obama was cermonially inaugurated into his second four year term as president of the United States. In celebration, states and organizations from around the country sent their delegations to walk in the inaugural parade. Although this inauguration did not produce an iconic satellite image like Obama’s first, it did feature life size models of Curiosity and Orion accompanied by six astronauts and Curiosity Flight Director Bobak Fedowski sporting his promised new ‘do. 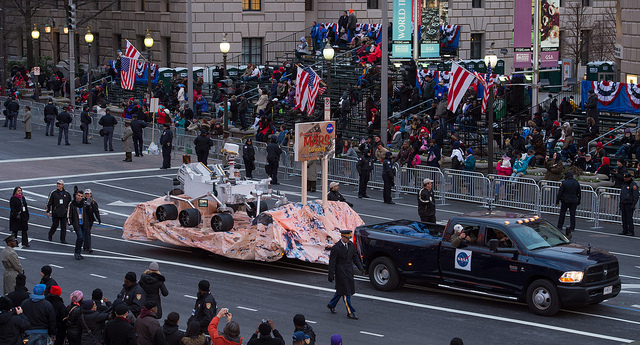 Curiosity model aboard its float in the NASA delegation to the inaugural parade (Credits: NASA). 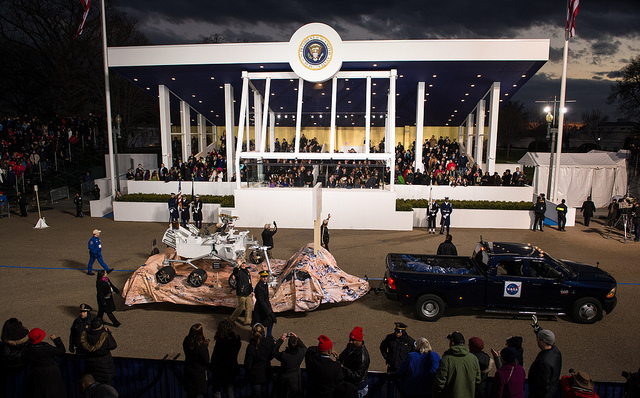 Curiosity parades past the Presidential Pavilion (Credits: NASA). 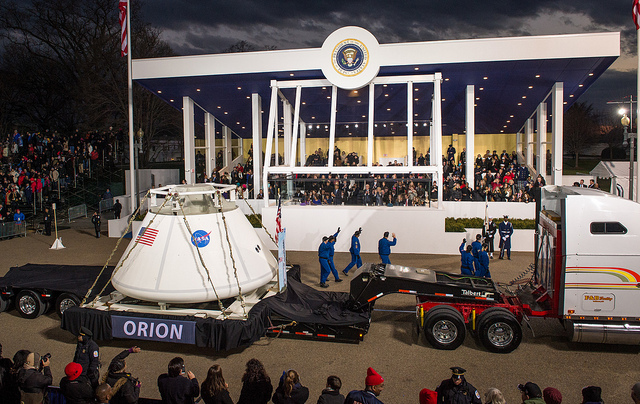 Orion being towed past the Presidential Pavilion (Credits: NASA). 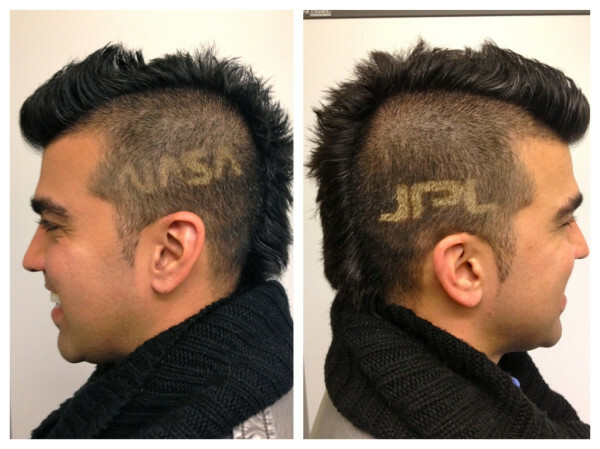 “Mohawk Guy” Bobak Fedowski shows off his parade ‘do (Credits: Bobak Fedowski).